M.Sc. Business Analytics is a five-semester Work Integrated Learning Programme designed for working professionals, who are aspiring for rapid career progression in the high-growth areas of Business Analytics and Big Data, and wish to stand out in highly competitive workplaces by acquiring prestigious Master’s-level qualification from a premier institution. The programme is of five semesters, with online classes conducted mostly on weekends or after-business hours. *Upon completion of this programme, participants will receive an M.Sc. 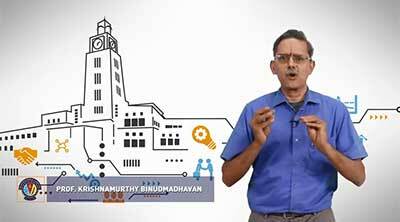 Business Analytics degree from BITS Pilani. Dissertation/ Project Work: The fifth semester offers an opportunity for learners to apply their knowledge gained during the programme to a real-world like complex project. The learner is expected to demonstrate understanding of vital principles learnt across semesters and their ability to successfully apply these concepts. Minimum eligibility to apply: Working professionals holding B.Sc./ M.Sc./ B.E./ MCA/ MBA or equivalent are eligible to apply. Applicants with other qualifications such as B.Com. etc. may apply provided they have done a basic mathematics/ statistics at both 10+2 and Undergraduate level. At least 60% aggregate marks and minimum one year of work experience in relevant domains.